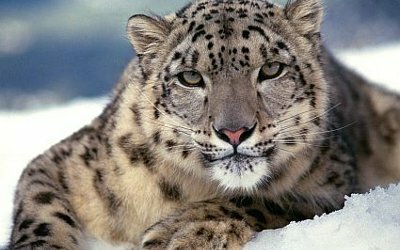 AKIPRESS.COM - Its silvery coat, spectral appearance and elusive nature have earned the Snow Leopard the pseudonym “the Ghost of the Mountains”. Its numbers are precariously low but concerted international efforts are under way to prevent the species’ extinction. In terms of news coverage the Snow Leopard tends to be overshadowed by its larger cousins - the lion took centre stage at the recent CITES Conference, where governments set the rules for international trade in endangered animals and plants. But the Snow Leopard is just as deserving of our attention. Fortunately, this has been recognized by the President of Kyrgyzstan, and an initiative was launched to promote the Snow Leopard’s conservation. The response was encouraging, with all of the Range States signaling their willingness to take action. One of the outcomes of the Kyrgyz Government’s initiative has been the establishment of the Global Snow Leopard and Ecosystem Protection Programme (GSLEP), which brings all the Range States together to develop management plans for the landscapes used by the Snow Leopards. This month sees a major awareness-raising event at the UN’s New York Headquarters leading to International Snow Leopard Day on 23 October. One of the goals set under this programme was to designate 20 high priority landscapes, vital for the survival of the Snow Leopard and the animals that make up its prey. This goal was actually exceeded as 23 such landscapes have been identified. However, despite the fact that one third of the Snow Leopard’s range falls within 100 kilometres of international frontiers, only one of those landscapes is transboundary. It is difficult even for experienced experts to find Snow Leopards, whose numbers are thought be in the region of 3,000 to 8,000 – the estimates are imprecise because the species is so difficult to study – because the cats’ huge range is high up in the Himalayan and Altai mountains. With so few animals in so large an area, it is vital for the Snow Leopard’s survival that sufficient habitat is placed under protection and that the different areas are connected. The inhospitable nature of the Snow Leopard’s sparsely populated habitat does not guarantee that the elusive cats are spared exposure to dangers from humans. The animals have been hunted for their pelts and other body parts for use in traditional Chinese medicine. Climate change is also affecting the mountains. More areas are becoming suitable for pasture, constricting the Snow Leopard’s territories and just as important those of its prey species and increasing the likelihood of encounters with human beings. For farmers eking out an existence by raising sheep, losing even small numbers of livestock can have devastating financial consequences, so it is little wonder that they consider the Snow Leopard a threat. Any efforts to conserve the Snow Leopard must contain two crucial elements. The first is recognition of the fact that being a transboundary animal – and therefore migratory under the definition of the Convention - the Snow Leopard has no regard for political borders and that international cooperation is therefore essential if conservation efforts are to succeed. More cross-boundary landscapes must be protected, and at a workshop convened by the Convention on Migratory Species and the NGO, Flora and Fauna International, eight such areas were identified as suitable candidates. Law enforcement and customs officers must collaborate to prevent illegal trade, and countries must learn from each other’s experience of involving local communities in conservation work. Persuading livestock owners that they can coexist with Snow Leopards is the second indispensable element. The potential for developing ecotourism centred on the Snow Leopard is limited. In Rwanda there are enough gorillas habituated to human visitors there to make wildlife-watching viable. Only the hardiest of travellers are likely to be willing to trek on horseback in the wilderness foregoing modern amenities with no guarantee of sighting a Snow Leopard. At the very least, the relatively simple measures can be taken to prevent Snow Leopards killing livestock by constructing predator-proof corrals and facilitating simple insurance schemes to compensate farmers for any animals they lose to the cats. The old orthodoxy that top predators have little impact on their environment is now being challenged, but there are still doubts about what influence Snow Leopards can have in so vast a range given their small numbers. But the Snow Leopard is a good indicator species – they depend on large intact ecosystems and their mountain habitat is surprising rich animals and particularly plants. So if the cats are thriving, the chances are that the wider environment is in good health too. The commitment of all the Range States is needed. China hosts 60 per cent of the world population of Snow Leopards. The Russian Federation is home to around 70-90 individuals, while Kazakhstan, Kyrgyzstan, Tajikistan and Uzbekistan, also have small numbers, 30-350 each. Although these are just a fraction of the entire population, the Central Asian countries host the northernmost populations, so protecting the animals here contributes to safeguarding their genetic diversity. Only by collaborating, can countries save their Snow Leopards. CMS and its NGO associates– NABU and Panthera – stand ready to lend their support to ensure that the international dimension of the efforts to safeguard the “Ghost of the Mountains” is fully taken into account. By Bradnee Chambers is the Executive Secretary of the Convention on the Conservation of Migratory Species of Wild Animals.